In the early hours of Sunday morning (Pacific Time), a Russian cosmonaut, NASA astronaut and a European Space Agency astronaut returned to Earth after a 6-month stay on the International Space Station (ISS). Oleg Kononenko, Don Pettit and Andre Kuipers landed safely on the Kazakhstan steppes after the Soyuz TMA-03M spacecraft fired its soft landing rockets, blasting a cloud of dust into the air. 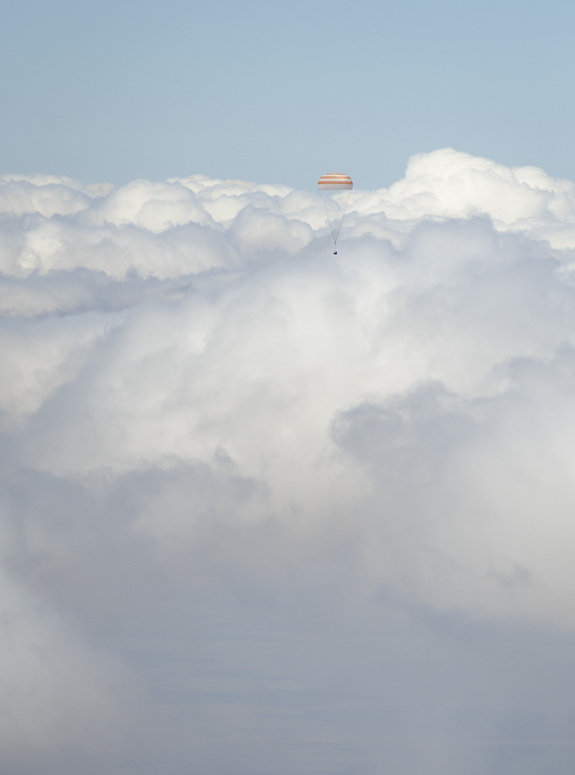 But before touchdown and after the violence of reentry, NASA photographer Bill Ingalls was able to photograph this beautiful aerial view of the Soyuz and deployed parachute above the clouds. What a ride that must have been. 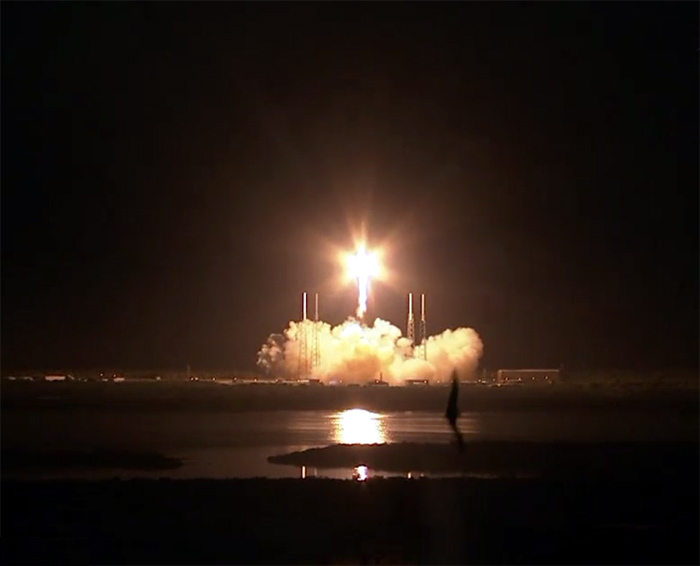 Read more about the successful Soyuz landing on Discovery News. Special thanks to NASA astronaut Nicole Stott (@Astro_Nicole) for tweeting this photo! Author Ian O'NeillPosted on December 28, 2009 Categories NASA, NewSpace, OpinionTags ISS, NASA, Space Politics, Space Station, SpaceX13 Comments on What’s NASA’s Biggest Accomplishment of 2009? It’s Still Here. 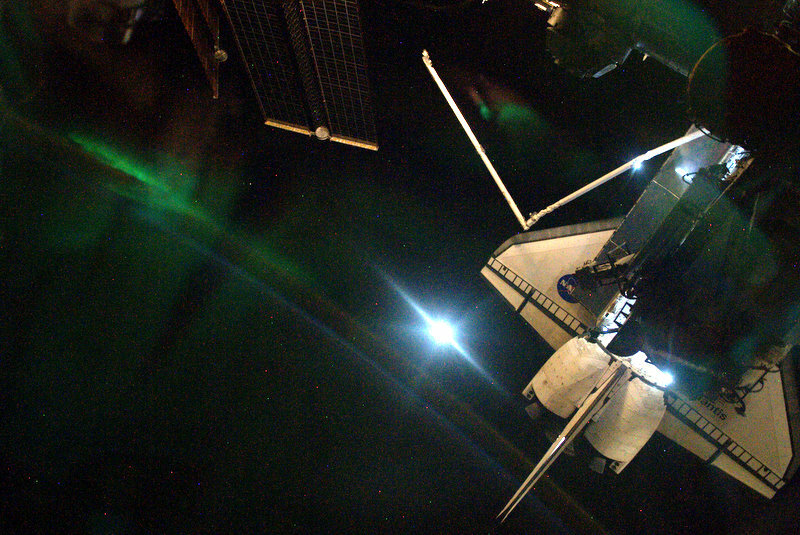 The Space Station Flares, Again! I don’t usually post two identical stories within a few days of one another, but when I saw this image on SpaceWeather.com I had to comment on it. On Friday, I was captivated by the astounding astrophotography by Nicolas Biver as he tracked the space station with video camera and telescope, to capture some great detail of the manned outpost as it passed over France. 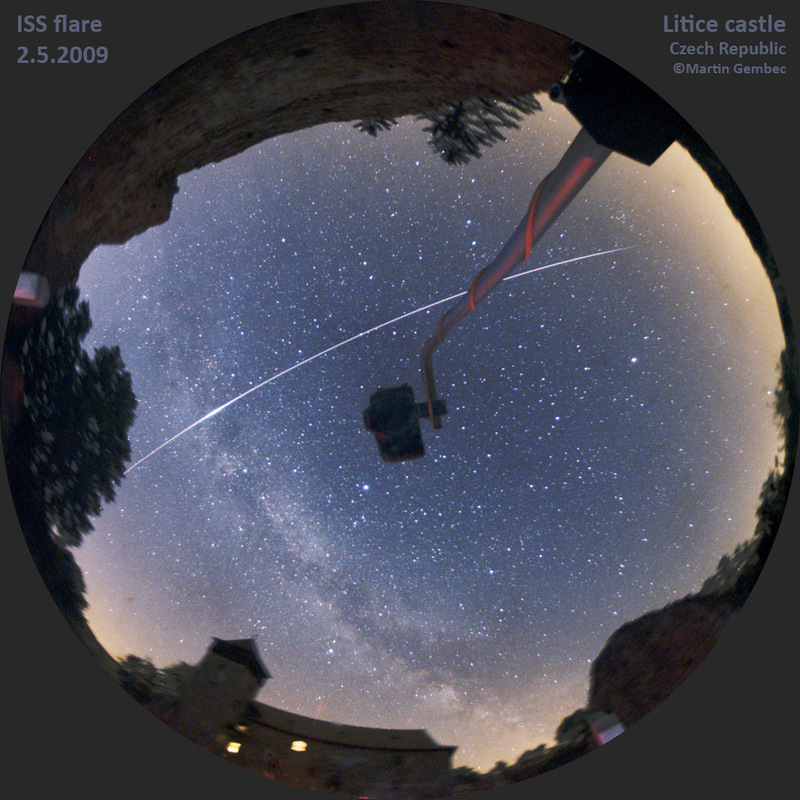 With a bit of luck and a whole world of skill, Biver observed a bright space station flare. Next up, it’s the turn of Martin Gembec. On May 2nd, he grabbed this superb trail as the station passed through the distinctive edge-on disk of our galaxy over the Czech Republic. What’s more, the station flared as its huge solar arrays reflected sunlight through Gembec’s ‘scope… right at the moment when the station travelled through the hazy starlit disk of the Milky Way. A magnitude of -8 makes this flare a beast; that’s 25× brighter than Venus and 400× brighter than the star Sirius. In the photo above, there is a rather ominous piece of kit attached to a boom reaching into the centre of the image. This is a reflection of Gembec’s Canon 30D camera (that took the picture as the ISS passed overhead) in an all-sky mirror. The mirror is in a concave shape to collect the starlight from the sky, bouncing the light into the camera lens. 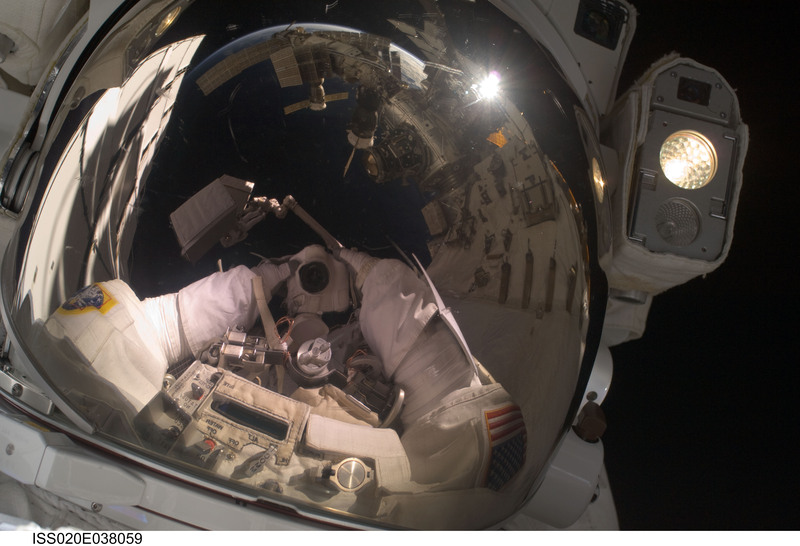 It acts much like a satellite dish; except it doesn’t bounce and focus radio waves into an antenna, the all-sky mirror reflects visible light and focuses it into the open camera shutter. As you can see, the results are visually stunning. 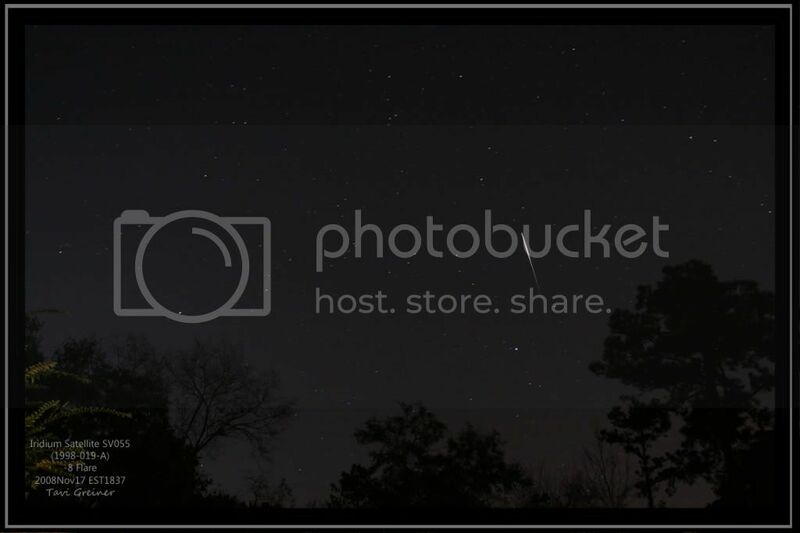 Author Ian O'NeillPosted on May 4, 2009 Categories Astronomy, Featured Articles, Space FlightTags All-sky mirror, Galaxy, International Space Station, ISS, ISS Flare, Milky Way, Space Station3 Comments on The Space Station Flares, Again!